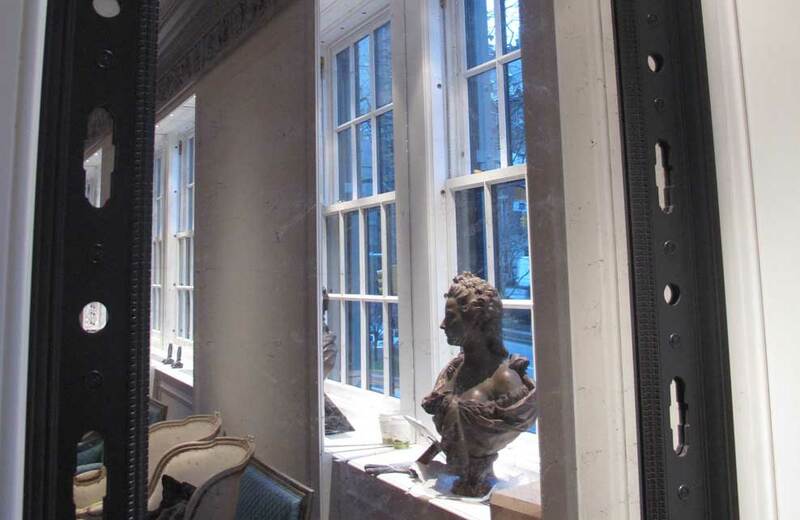 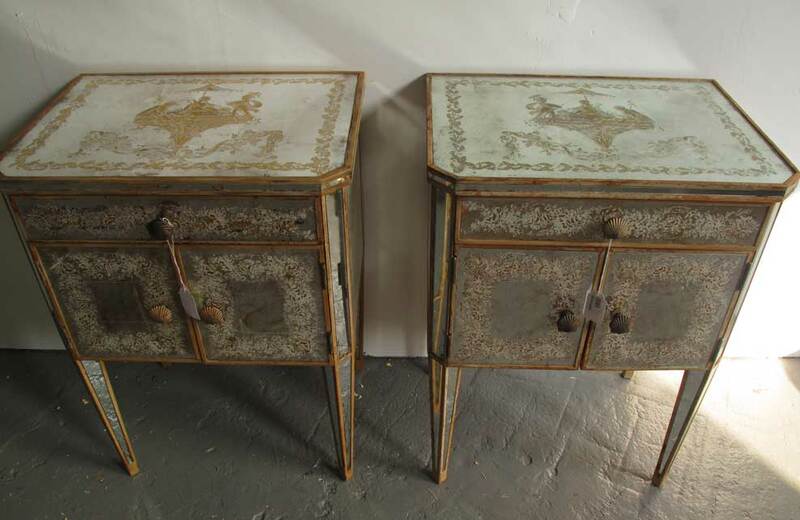 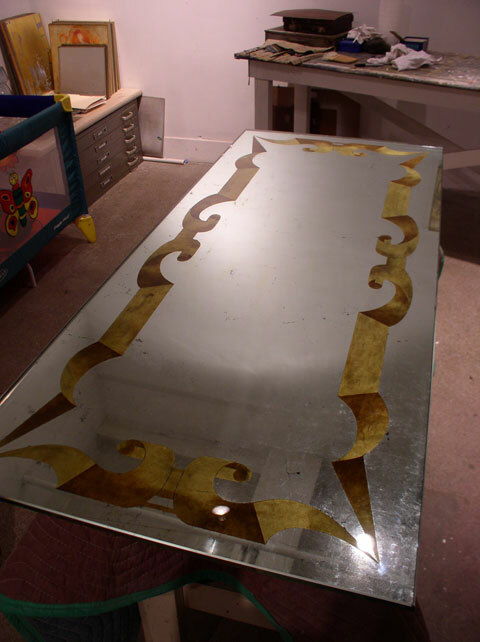 We have used a variety of original and contemporary techniques on furniture, mirrors and table tops as well as glass paintings. 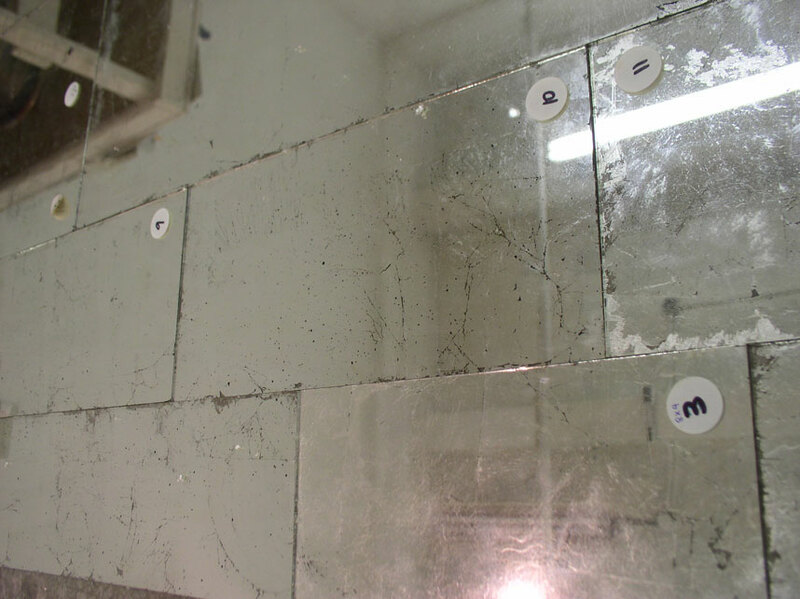 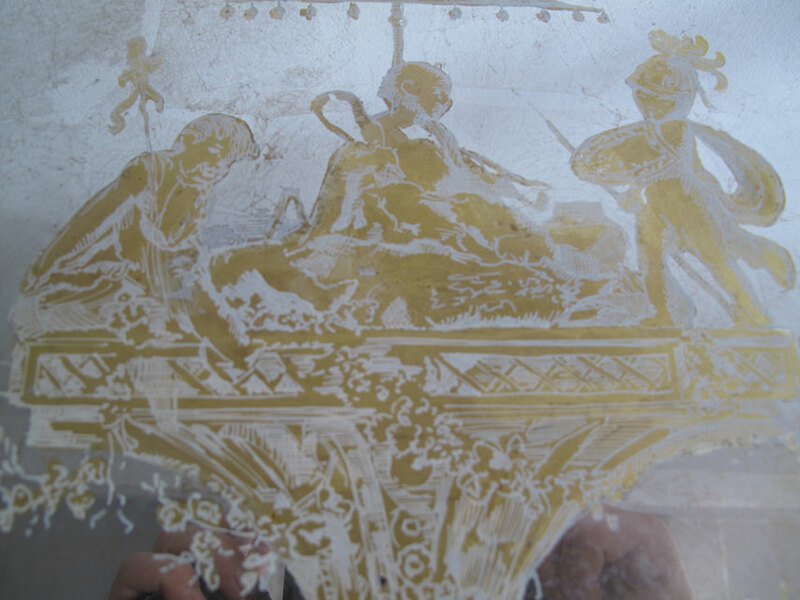 In one method, the metal is adhered using a gelatin adhesive, which results in a mirror-like, reflective finish in which designs are then engraved. 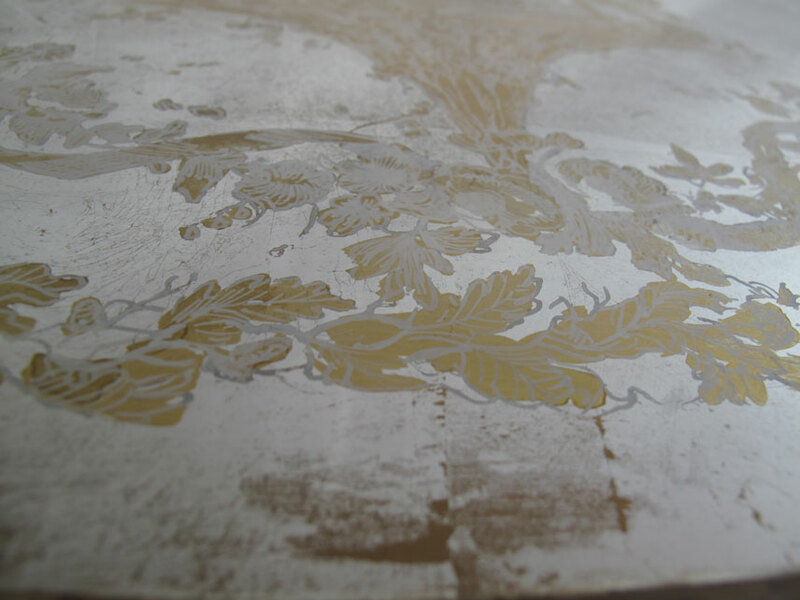 The metal leaf may be applied using oil-based adhesives (goldsize varnish) to achieve a matte finish. 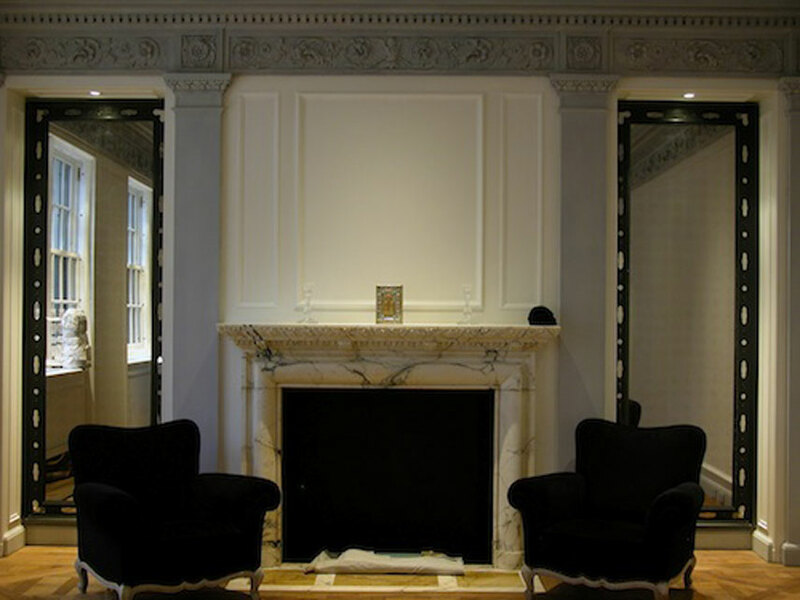 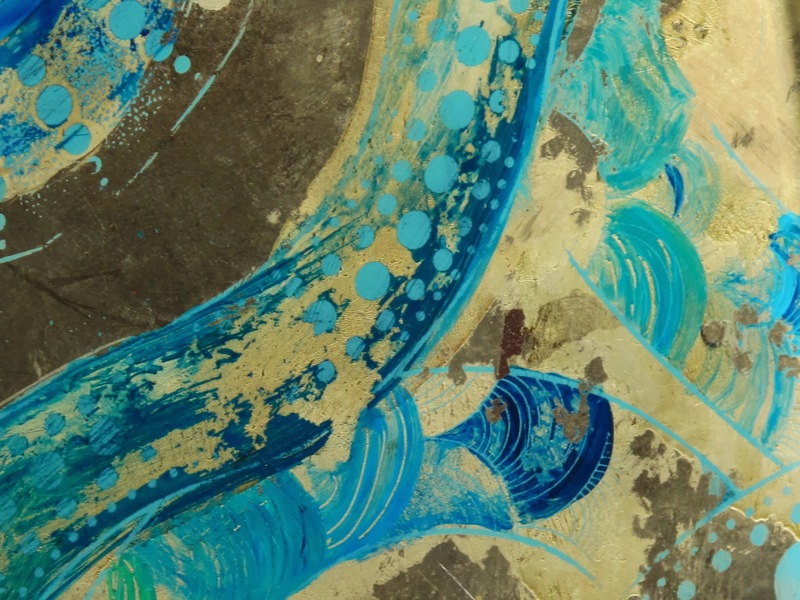 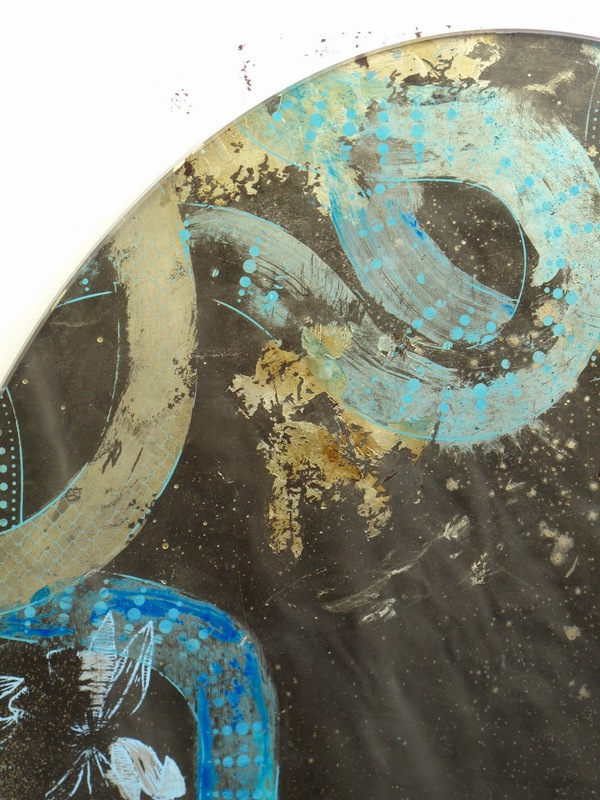 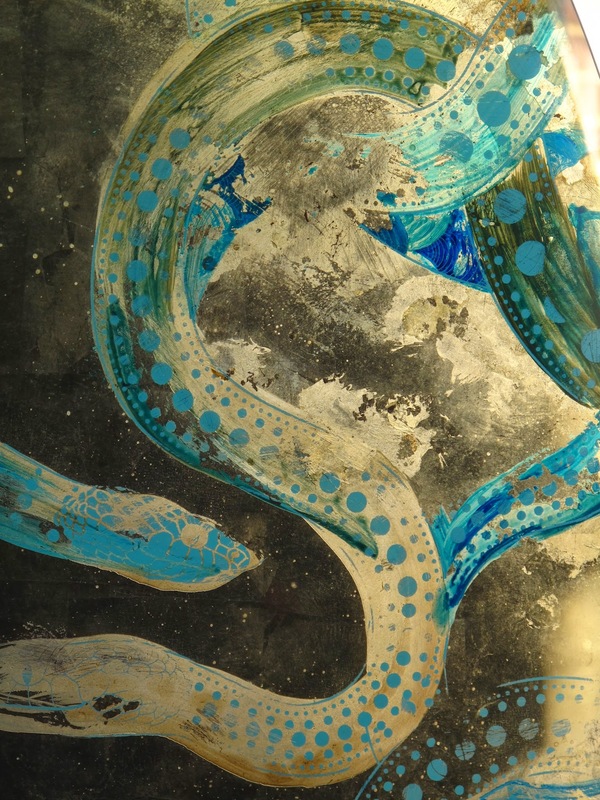 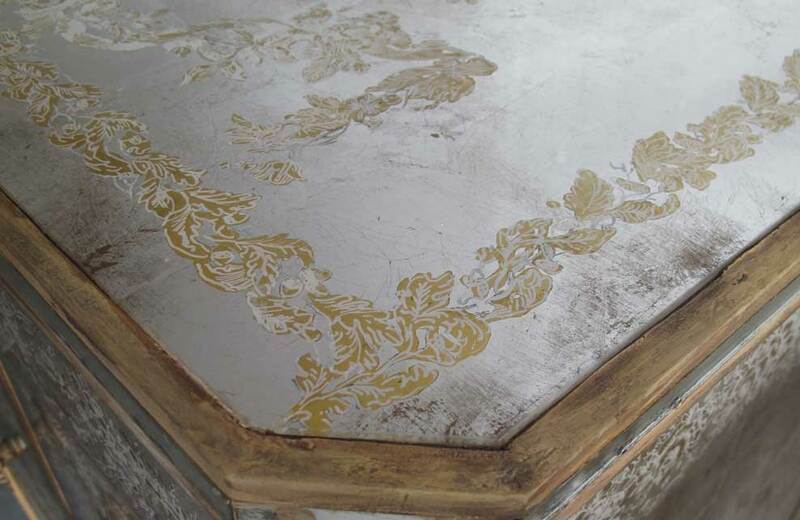 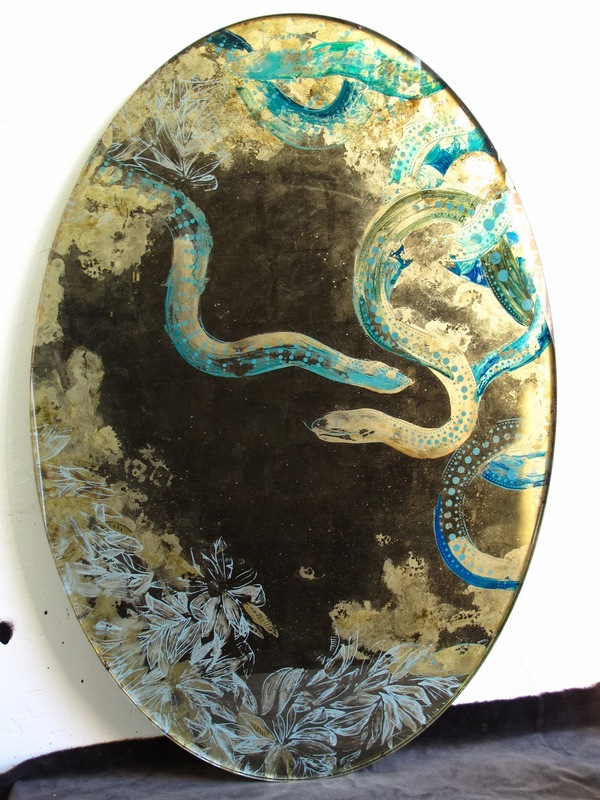 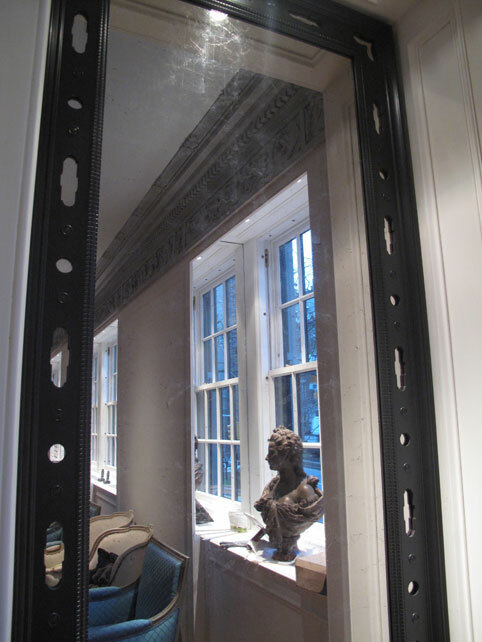 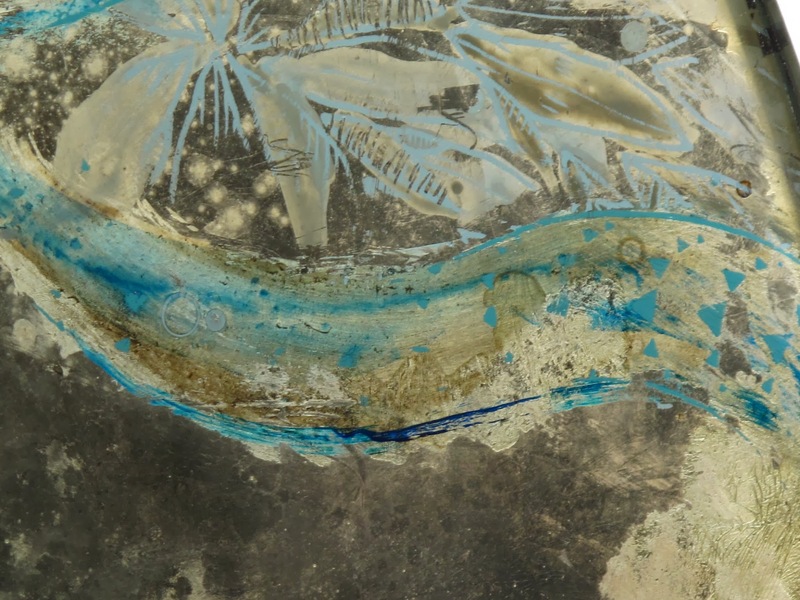 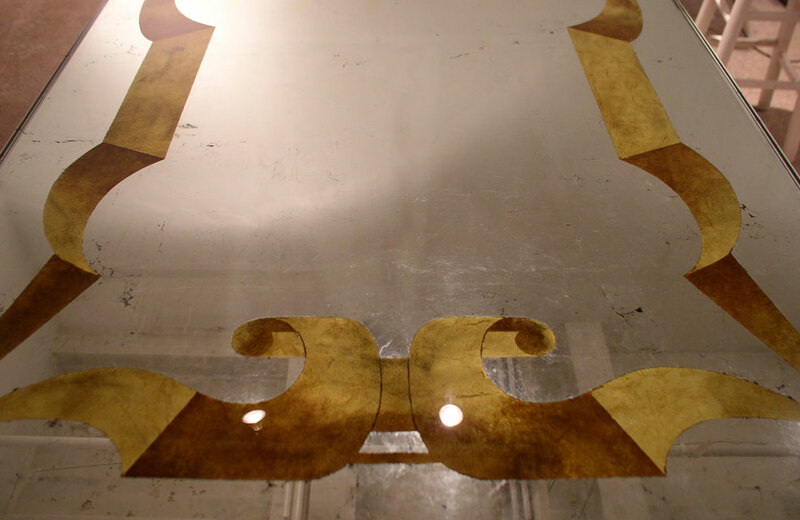 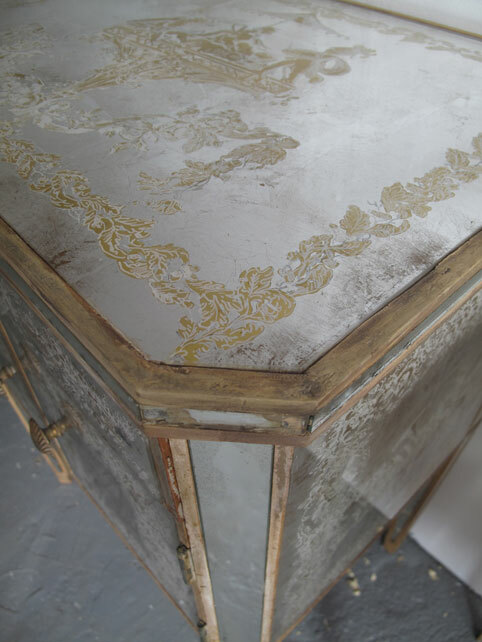 The gilding may also be combined with reverse painting on glass.